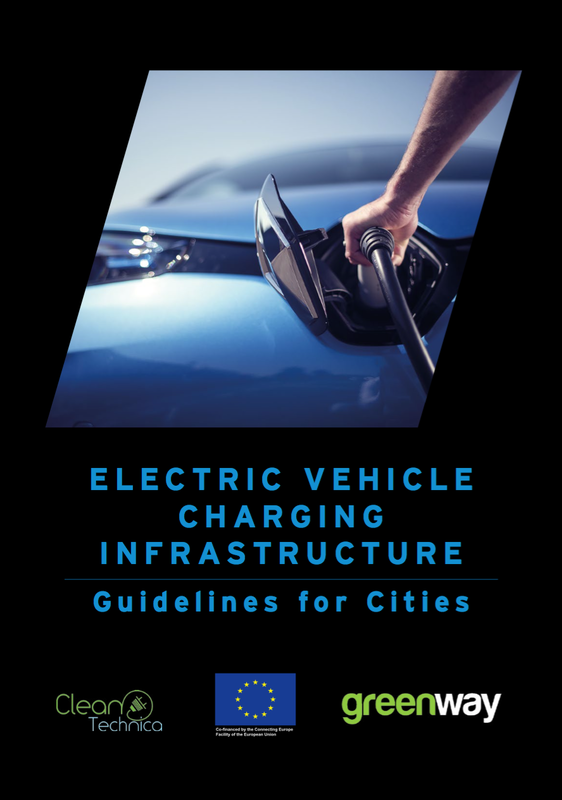 Below is one chapter of our free report Electric Vehicle Charging Infrastructure: Guidelines for Cities. 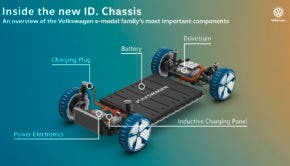 This report was produced by a working group of EV charging and electric vehicle leaders led by CleanTechnica and GreenWay. Regardless of how many EVs are currently registered in your city — many more are coming, and soon, and you should get ready. For you, this may mean investing in your own infrastructure, developing a plan, or passing laws or regulations to encourage the private marketplace. There is an ongoing debate as to whether to invest in infrastructure before the mass onset of EVs, or to wait until they have already become far more common — the so-called chicken and egg dilemma in our industry. Even if it’s just a single charging station, we encourage you to start now, to gain our own experience with EV charging and the habits of your local drivers. Whether for a public or private entity, there are a number of proven ways to fund EV charging infrastructure and then generate revenue from it. While we are not suggesting any specific approaches here, we think it’s important for you to have a clear understanding of the real costs and key cost drivers of these activities, and the sustainable business models. Hardware & installation: First, an appropriate site needs to be found and selected, and the proper approvals and contracts drawn up for its use (landowner, DSO, energy regulator, etc.) Then, the appropriate construction work needs to be performed to extend or upgrade the electricity grid connection (where necessary) and establish the point where the charger will connect to the grid. be attached to the wall or other object. Appropriate parking next to the charging point needs to be provided, reserved, and marked. For outdoor chargers, a covered canopy is worth considering. Type 2 AC chargers: The cost of this infrastructure can run as low as €500 if they are placed on private premises and dedicated for one user or a closed group of users. If they are public — which in the case of municipalities would be more common — the charging stall will require more robust framing and construction and most likely need to have the ability to recognize and bill each EV user. Therefore, the charging point has to be “smart” — equipped with IT intelligence and capable of communicating with the IT system of the charging point operator. In this case, the units will cost €1500+. These prices do not include installation costs. Significant savings per chargers apply if they are bundled together in a configuration (hub), where several outlets use one intelligent central unit for communication and intelligent energy management. Fast DC chargers: Despite the significant drop in their cost in recent years, DC chargers remain expensive and cost more than €25,000 each. That it is high-power equipment also translates into higher costs for physically connecting the charger to the grid, or even upgrading the grid connection point (transformer and other equipment). This could bring the installation costs up to €40,000. The second consequence of fast chargers is the high demand for power and thus high demand charges from the DSO on a monthly basis. These are fixed cost and usually paid on a monthly basis regardless of whether the charger is used often or not. The connection cost represents the most significant part of the operational costs and needs to be carefully considered along with the cost of energy and maintenance of the unit. Capacity charges: Is the fee paid to the DSO based on the kW power connection. This cost varies significantly between countries and even between various DSOs. It is different if you are connected to a low voltage or medium voltage line using your own transformer or not. In any case, it is a significant cost driver, particularly in the case of fast charging technology. Being a fixed cost, capacity charges have the most significant impact on the overall economics in low utilization environments. Energy cost: In home and some workplace charging, the cost of the energy itself is the largest — and sometimes the only — variable cost. However, in terms of public infrastructure, it represents only a fraction of the total cost structure, especially in the case of fast charging. This is why charging at home or work could be as cheap as €2/100km while the cost of public AC or DC charging needs to be higher, as you can see in the below table. Maintenance: Like any piece of machinery, charging stations require occasional maintenance — sometimes on the backend with their IT software and sometimes on the physical unit as well. Billing, invoicing, & user support: This body of work includes setting the prices, creating a system to charge and invoice each user, maintaining this system and its security, and debugging it when technical issues arise. Real-time user support is also essential. New people encounter the system and routinely call with questions, and answering them clearly is vital to ensuring a positive user experience and satisfied customers. These are complex, time-consuming, and personnel-intensive tasks carried out by the charging point operator, which are critical to the successful functioning of a charging service business. The main drivers of revenue are the price you charge for energy or time combined with the rate of utilization of the charger. Here is a simple table, showing an example of the costs vs revenue balance a charging company needs to evaluate. As you can see, the main variable inputs are price to the customer and utilization. Adjusting these will help you find your sustainable operating costs. A) Advertising on the charging station. B) Concessions. Depending on who owns the station and nearby services, the overall revenue-generating capacity of the charger should include if people purchase food and drink while charging. Grants — such as from a national government, the European Commission DG Move, or the Innovation and Networks Executive Agency (INEA) — are one of the primary ways that infrastructure — especially fast chargers — are financed (or co-financed) in Europe. The grantor issues a Request for Proposals (RfP) for a specified project, companies apply, and the winner is selected based on the criteria outlined. Often, the grant is not for the whole cost of each piece of infrastructure, requiring the private entity to co-finance the rest somehow. Nonetheless, especially in Central and Eastern Europe, this is a very common approach. Municipalities should encourage central governments to prepare specialized funding schemes specially designed for municipalities and communities. Development of alternative fuels infrastructure and decarbonisation of transportation are among the top priorities of the EU and therefore the involvement of various EU funding streams is appropriate. While the motivation of public authorities to provide infrastructure for electric vehicles doesn’t have to be only commercial, the early introduction of fair prices for the use of chargers is important. Free charging may seem like a good way to initiate a market — and it would be. However, this sends incorrect price signals about the cost of charging/using electric vehicles and creates an outcry and drop in usage later when the free/subsidized charging ends. This undercuts the ability of commercial operators to create a sustainable business in the community. On the other hand, there are other commercial models in operation which do not require payment for charging from the drivers. For example, Go To-U’s model involves location hosts/business owners paying for the stations and providing them free of charge to drivers as a way of capturing the EV driving market. This model is working very well for them. Scotland’s national public electric vehicle charging network, ChargePlace Scotland, with 700 charge points as of this writing, is also largely free to users, beyond a £20 annual fee. It is otherwise subsidized by the Scottish government.